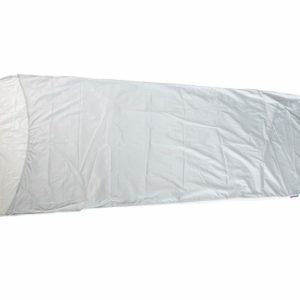 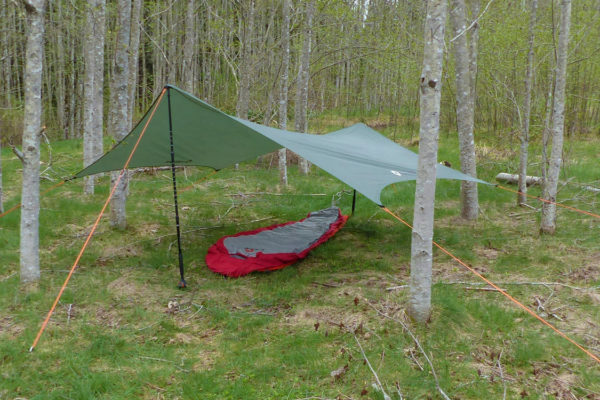 Tarps make campsites better-like this three-meter-area, seam-taped, waterproof­coated, 75D polyester unit from Canadian company Hotcore. 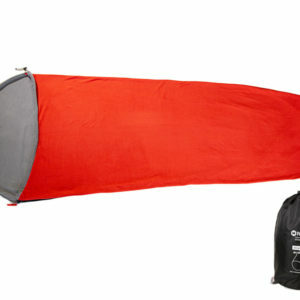 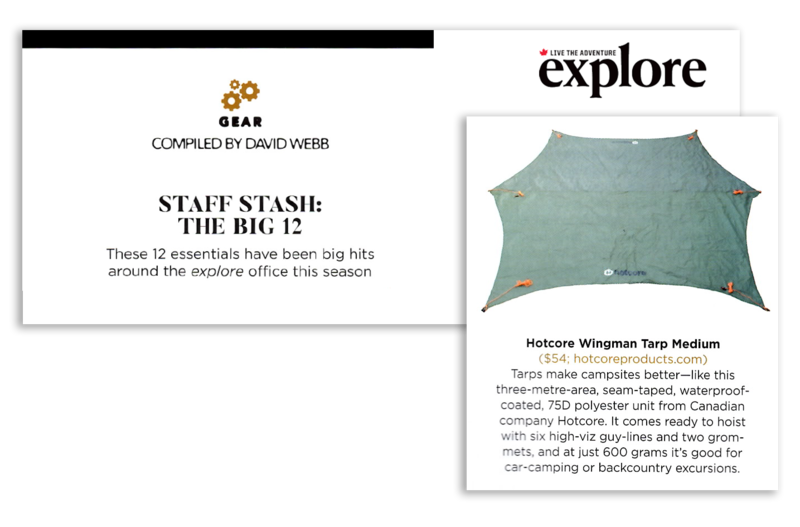 It comes ready to hoist with six high-viz guy-lines and two grom­mets, and at just 600 grams it’s good for car-camping or backcountry excursions. 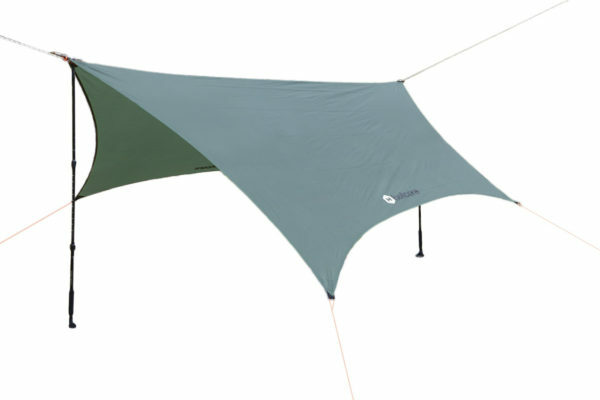 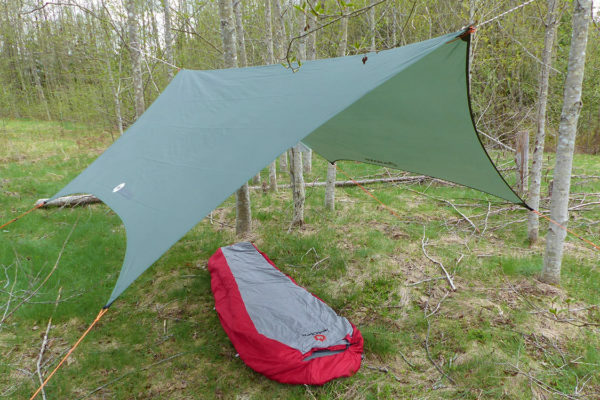 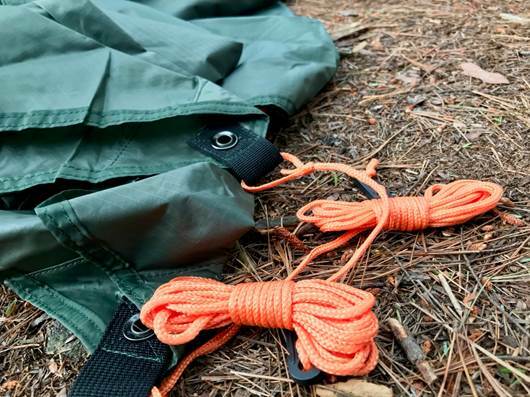 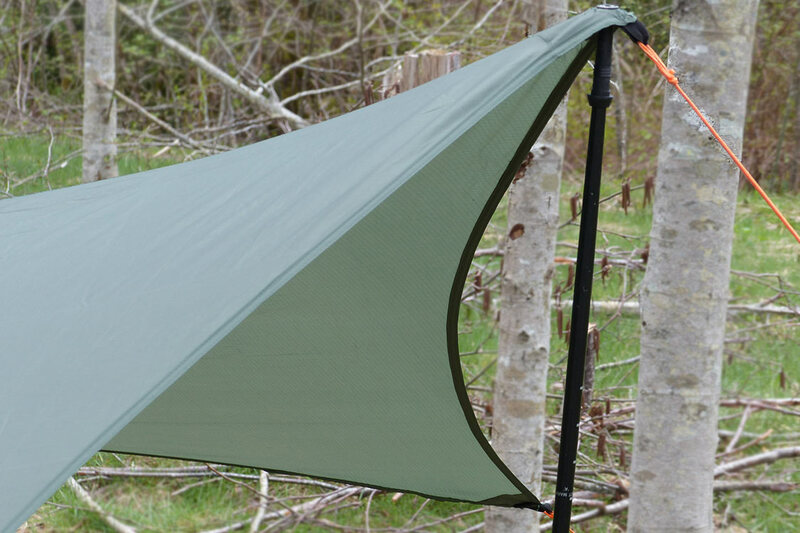 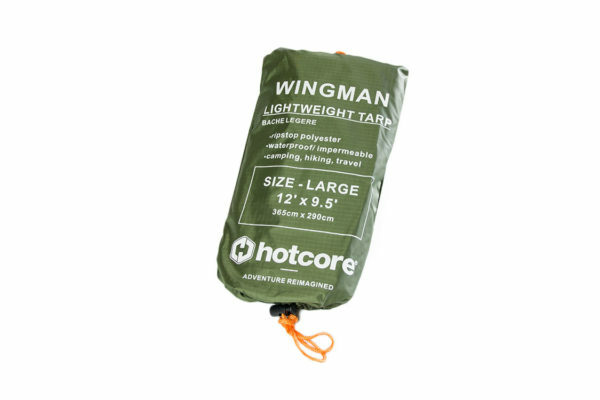 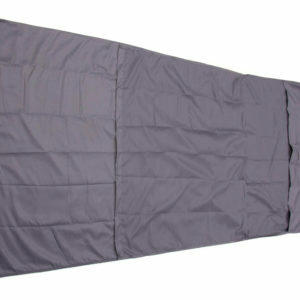 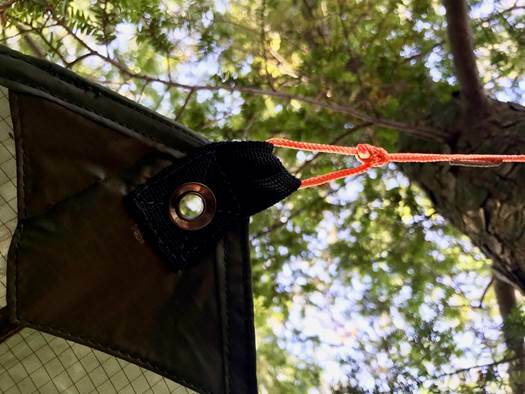 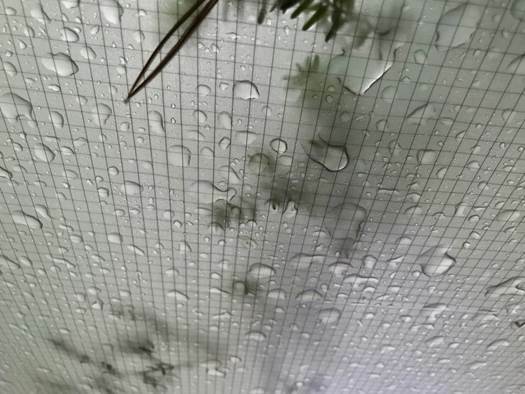 I also own one of your Wingman tarps…great product and sweet price point, it’s practically indestructible and I never go hiking/backpacking without it.